Reports of new “matches” are happening again now…. Sometimes, the CardMatch tool provides that targeted offer you’ve been waiting for. I suggested to a MilesTalk reader yesterday that, based on their upcoming spend, they may want to look into an American Express Platinum charge card. I suggested that they check CardMatch, as late last year there were reports of Amex targeting people for a welcome offer of 100,000 Membership Rewards points for $5,000 in spend over 3 months. My reader reported back that he indeed was offered that welcome bonus yesterday (making me jealous since I just checked my own CardMatch and got a goose egg). Everyone’s offers are different, so I can’t predict what you’ll be offered. CardMatch is a personalized credit card offer tool that various card companies use. You should know that it will ask for your SSN but that it’s doing only a soft inquiry and NOT a hard credit pull. Using the tool will not impact your credit in any way unless you choose to actually apply for a card. This is, without question, the best way to get 100,000 Membership Rewards points for the least required minimum spend – if it’s offered to you. There are some amazing redemption opportunities with 100,000+ Amex points. With 125,000 total Amex points, for example, you could fly around the world in Business Class, up to 5 stops!, by transferring your points to ANA (a Japanese Star Alliance airline). Or for the 100,000 points, you could fly from the US to Europe round trip in First Class. So yes, this is a GREAT deal. Note that you’ll want to make sure that after submitting your info inside CardMatch you have “Show All Offers” checked on the left hand side, or the deal could be hidden from you. And if you are, please let me know! 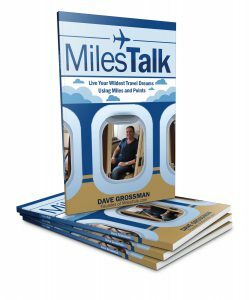 You can post here in the comments, on Twitter, or in the private MilesTalk Facebook group.